On Facebook and Instagram, for example, a picture of a real protestor fighting against Energy Transfer Partners' Dakota Access Pipeline was presented with a panel written by Russian operatives that said "Americans have been stealing from Native Americans for more than 500 years." 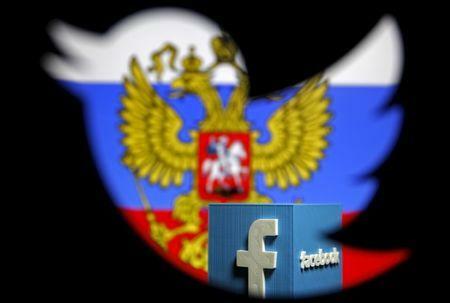 The lawmakers' report linked some 9,100 posts on Twitter, Facebook, and Instagram between 2015 and 2017 to operatives including the St. Petersburg-based Internet Research Agency, a Russian propaganda arm known for its trolling on social media. It was one of three firms indicted on Feb. 16 by a U.S. special counsel investigating intelligence agency allegations of Russian tampering in the 2016 election, charges Moscow denies. Thirteen Russians were also charged, the court document describing them as having "had a strategic goal to sow discord in the U.S. political system." The Russian embassy in Washington did not immediately respond to a request for comment on the panel's report. "The American people deserve to know if what they see on social media is the creation of a foreign power seeking to undermine our domestic energy policy," Smith said. "It's almost impossible to change U.S. energy policy through a social media campaign," said Brenda Shaffer, a professor at Georgetown University, "a campaign would have to affect both the state and federal levels to be effective." Trump has called investigations into possible cooperation between his presidential campaign and Russians a political "witch hunt." "To ignore known meddling in the very foundation of our democracy while focusing solely on Russia's influence on the U.S. energy market, a market that is currently booming, seems irresponsible at best," said Representative Eddie Bernice Johnson, the top Democrat on the science committee. Naomi Ages, a climate campaign director at Greenpeace, said Smith was "ignoring the very real threats of election interference and climate change to once again waste taxpayer money muddying the waters."